Today find out how one 3 Keys IELTS student’s essay hit the Writing sweet spot! Every month we have a new IELTS Writing Task 2 question in our Facebook group. Students can submit their essays and compete to become the 3 Keys Writing Wizard. This month our Writing Wizard needs to be recognized! ** We posted the winning essay in our Facebook group for our students to learn from but on this episode we will read the introduction (please listen to the episode to hear it). Why did this student win the contest? Her cohesion and coherence was high. She used great linking words. She used great examples that supported her points. Tips from the 3 Keys winner! She learned the structures! She took our templates and outlines in our course and she memorized them and then implemented them in the essay. She also practiced those essays using the structures. When you have the right template and you have practiced it over and over again you will get your target score! She used an outside program called Grammarly: When you focus on grammar you should be careful! Pay attention to what the examiner wants when it comes to grammar. Do not get focused on the small mistakes that will not change your score and will waste your time. She worked on building her opinions: She used the 30-day study plan with the outside activities and articles. She read articles from the NY Times and the BBC. She used these resources to develop opinions on current topics so she has ideas in her mind to use on the exam. She created a culture of thinking and used that in her essay. She built for vocabulary: She did it by reading as much as she could and writing down the new words that she heard in chunks. Remember, the 3 Keys Writing Wizard contest is only available for students in our course. Let us know the questions you have from today’s episode! 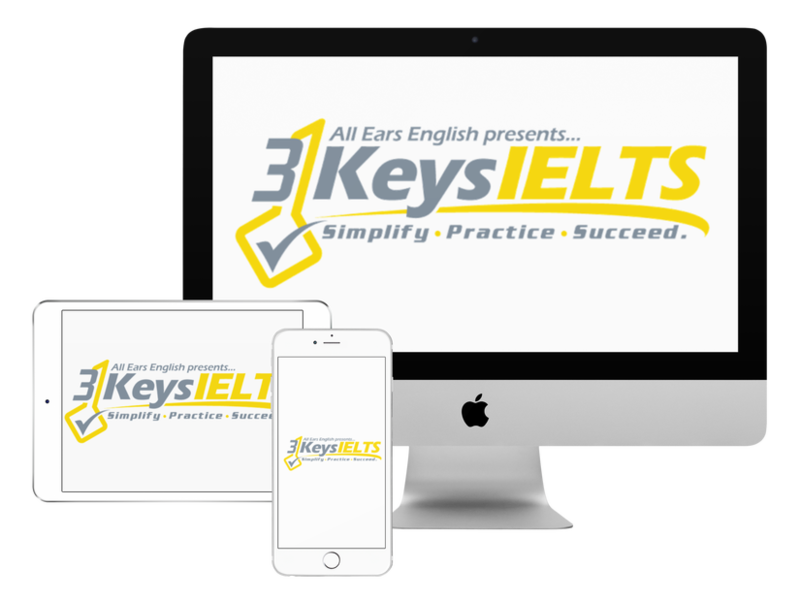 ← IELTS Energy 237: Are These High IELTS Scores Real? Are They Even Possible?